Brookes Brothers: "Our album is coming soon! "Brookes Brothers: "Our album is coming soon!" This duo require little introduction. 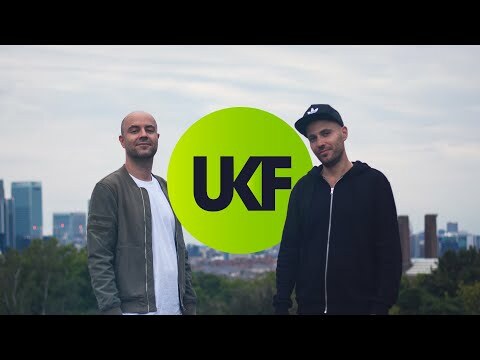 With a career spanning just under ten years, the Brookes Brothers have cemented themselves in drum & bass history as certified soul men, with a distinct sound and feel-good vibe instantly recognizable as their own. 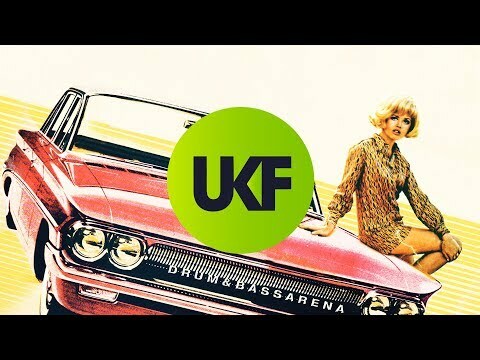 Their massive remix of Sid Batham’s All Lies features on the new album from our friends at Drum&BassArena. They’ve also remixed the soon-to-be summer smash from SecondCity I Wanna Feel and the UK number one-smashing Storm Queen. The buzz around their new album (due for release this year) is spreading like wildfire. If last years summer anthem Carry Me On is anything to go by, the vibes on this release are sure to be on point… And just in time for summer! Your remix of Sid Batham’s All Lies is featured on Drum&BassArena 2014. How did the remix come about? We’ve been in touch with Sid for a while actually. We’ve always been fans of his and have worked on some stuff together in the past. Loved his single and it was a pleasure to remix! Tell us about your upcoming album… Expected release date? We’ve been spending 90 per cent of our time in the studio getting it right so hopefully it’s a good ‘un! Lots of exciting new tracks that we’re keen to unleash and some cool collabs in the works as well. We’ve gone for a bit of a new twist on our trademark sound. Next single will be out soon and the LP will hopefully be out before the sun goes away for another year! You’re renowned for injecting that little bit of soul into your music- what era of music inspires you the most as musicians and why? Couldn’t say one specific era really! We have favorites from all different genres and generations, anything can inspire us really. We love super-melodic stuff though, and we don’t really do minimal. You recently played at the 10 years of Viper show and were seen having a good ol’ skank during Hazard’s set. Who were some of your favourite acts when you were wide eyed and bushy tailed kids going to these raves that you now headline? Wow too many names to mention! People like Fabio, Grooverider, Hype, Andy C, Ed Rush & Optical, Randall, Dillinja, Brockie, Mampi, SS, all the classics really. Forgetting loads obviously. And then we would always look forward to seeing producers we loved to play, guys like Photek, MIST, Calibre. But those guys weren’t on the London rave circuit as much back in those days. What’s your favourite venue or event back in the day… And why? The End in its prime was the stuff of legend. Also Swerve at the Velvet rooms on a Wednesday, and Movement at Bar Rumba every Thursday were both incredible nights we’ll never forget! Lots of labels and artists are reaching massive milestones recently, including Drum&BassArena turning 18 this year. Nostalgia is in the air… So what’s favourite year in drum & bass and why? It would have to be the early 2000s for us. 2000-2003. There was so much good music being made in every subgenre of D&B and the DJs played it all across the board. The music wasn’t divided into categories like it is nowadays, it was just all just drum & bass. How about some favourite tunes from that era? That’s a really hard question to answer, there’s so many! Some of the tunes we have big love for back in the day include J Majik- Love Is Not A Game, Dillinja- Nasty Ways, Mist- How You Make Me Feel, Digital- Deadline, Photek- The End and Ed Rush & Optical- Pacman to name a few! If you could do a dream collaboration with an artist in any genre, who would it be and why? It would have to be Earth, Wind and Fire. Great to see those guys still going strong! I’d love to hear that! How about a dream destination for a gig? We’ve always wanted to tour South America… And it looks like it’s going to happen later this year so fingers crossed! Are there any or releases you’re feeling at the moment? 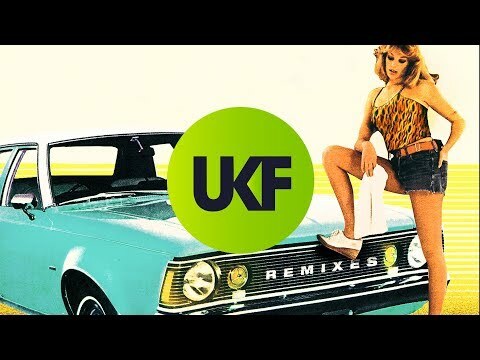 Loads of great new producers coming through the D&B ranks at the moment, but we’re really loving the new Kove single! What’s up next for you guys? Just keeping on doing what we love: making music and living life to the full! Working hard on getting the album finished, and looking forward to touring Australia in a couple of months as well as the US/ South America as well! You’re both avid boxing fans. Who would win a boxing match between you two? Well we’re in different weight divisions so I’m not sure the British boxing board of control would license that one! 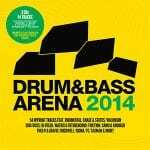 Drum&BassArena 2014 is out now!